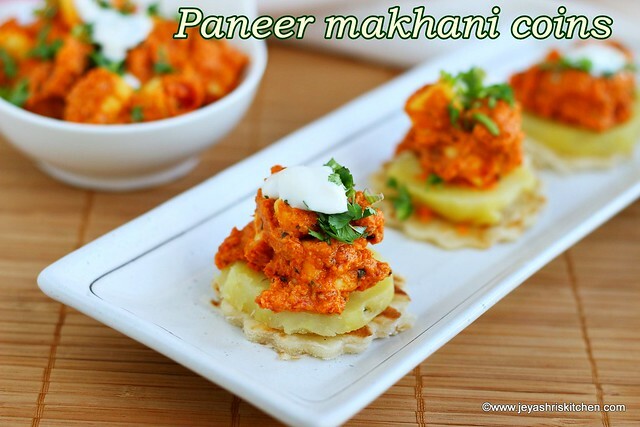 Paneer makhani coins, a no onion no garlic recipe, panner cooked in makhani sauce served in a different style, kids friendly recipe. 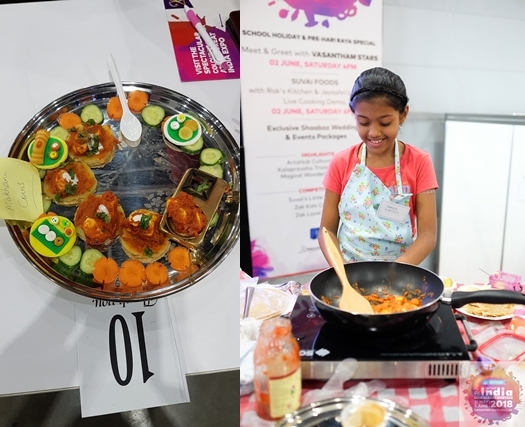 Recently during the Zak Salaam India Expo event, in Singapore, Suvai foods organised a cookery demo and a Little star chef competition. The entire lot of 15 kids who participated in the competition did so well and i am so amazed to the confidence of the kids at this age. I am one of the judges for the competition. We agreed that the first prize winner recipe and the second prize winner recipe will be posted featured in the judges website. This Paneer Makhani coins won the second prize and it tasted nice and also the way she presented it also very attractive. Dhriti Karthik, a 10 year old girl cooked this so well and i loved her confidence and focus and more than that she was so happily cooking which was visible from her smile. The recipe turned out so well Dhriti. I slightly tweaked the recipe. 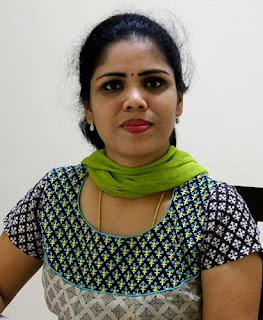 She mailed me the recipe with a cute write up, over to Dhriti now. 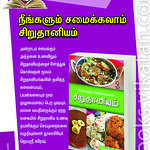 Check out the first prize winner recipe at Rak's website. Hi! Dhriti here, and I am the runner up of Suvai’s Little star chef competition. YIPPEE!! 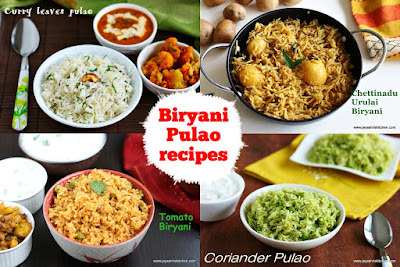 I am sharing the recipe. I am a picky eater and if I were to have a hate list, onions and garlic would feature on the top of it. I dare not cook with them. 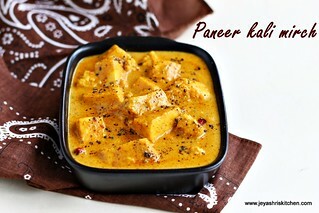 My love for Paneer is endless. 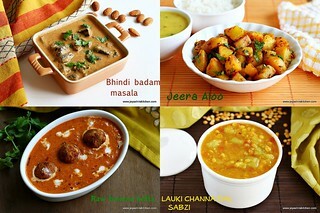 My favourite dishes are Palak Paneer, Paneer makhani and Paneer Butter masala. The aroma of Paneer Butter Masala wafting from the kitchen will always melt my heart. So, here is my mum’s recipe for Paneer Makhani Coins. Very simple and quick one. The almond butter combo with tomato puree gives an amazing taste.Try this recipe at home I promise you will love. 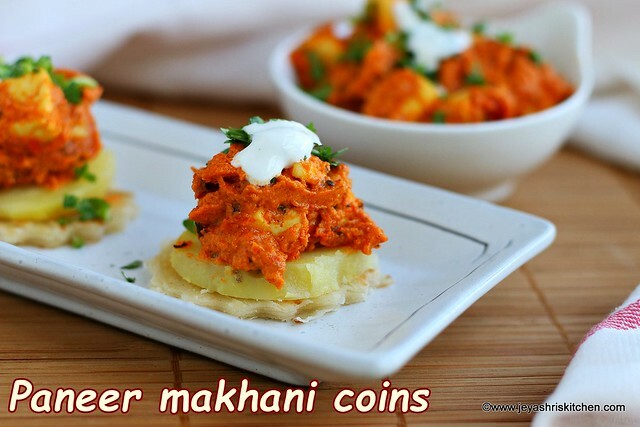 Paneer makhani coins, a no onion no garlic recipe, panner cooked in makhani sauce served in a different style, kids friendly recipe. 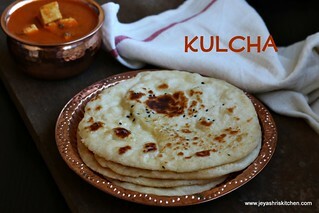 I used Suvai paneer and Suvai Malabar parotta for this recipe, but she used Suvai chapathi. 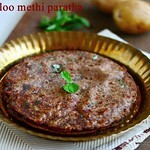 Cook the paratha or chapati and keep it aside. Par boil the potatoes and peel the skin. Cut them into thin roundels. Cut the paneer into desired shapes, she cut them so cutely using a cookie cutter. I cut the paneer into cubes. In a pan add little oil and cook the paneer till slight brown and keep aside. Blanch the almonds and take out the skin. I didn't use almond butter as mentioned by Dhriti. Also i used tomatoes instead of tomato puree. In the picture you can see one tomato but later i pureed one more tomato and added. Grind the blanched almond and tomatoes into a fine paste. In a pan add the butter and add the ground paste. Add the red chili powder, coriander powder, garam masala (she used paneer masala) and kasoori methi. Cook till the raw smell of the masala goes off. Add the paneer cubes to this and sugar. Add the fresh cream now. Mix and cook till the mixture becomes semi dry. Chop the coriander leaves finely. 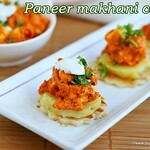 Let's proceed with serving the Paneer makhani coins. Place a roti round as the base layer. Top it with the Makhani gravy and then add a piece or two of the paneer. 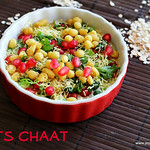 Garnish with a tiny blob of whipped cream and coriander leaves. 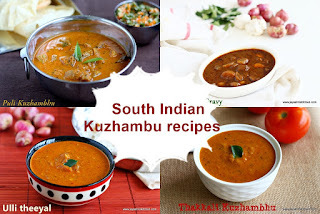 Repeat this for the rest of the gravy and chapati roundels.